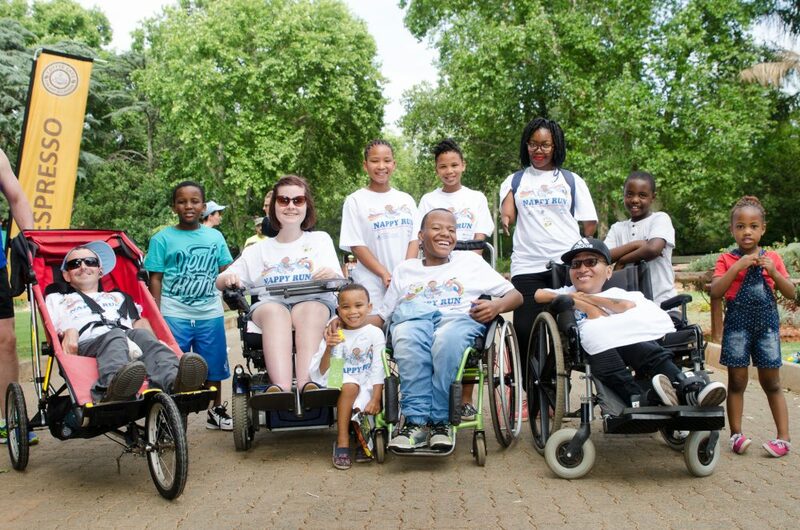 Come run, walk, wheel or stroll at the Nappy Run™ 5km fun run at the Johannesburg Zoo on International Children’s Day, 3 November 2018. The annual campaign is focused on raising awareness of the conditions children with disabilities live under, the challenges they face, as well as their rights which are violated on multiple levels. The campaign also serves to raise funds to buy nappies for children with disabilities – an essential health item that this already-vulnerable and marginalised group often sadly goes without. Join us in reaching our 2018 goal to raise money for at least 50 000 nappies to supply to children with disabilities, around the country. The race starts at 07:30 (registration opens at 06:30), and tickets can be purchased from the Nappy Run website (R60 for children and R100 for adults). The event is organised by the National Council of and for Persons with Disabilities. For more information about the Nappy Run™ fun run, or to make a donation, visit www.nappyrun.org.za, or find them on Facebook – @Nappyrun.sa | Instagram – @Nappyrun.sa |Twitter – @NappyRun. Alternatively, email: info@nappyrun.org.za.